ALL-TIME FAVORITE POST FROM 2010 RE-BLOGGED: Lady Gaga's poster is plastered all over Lang Kwai Fong. Arguably, Hong Kong's most famous district is also the center of shopping, dining and drinking. Whenever i am in Hong Kong, i always make it a point to drop by this spot. It's where the young kids dress up and shop. It's where the expats cheers beer and make merry. It's where the creme de la' creme of Hong Kong social scene converge and show off their latest wears. What can i say? 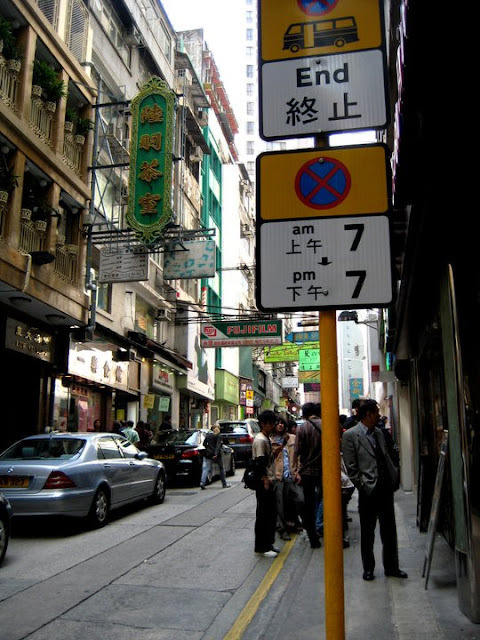 What is Shibuya in Japan is Lang Kwai Fong to Hong Kong! My experience in Lang Kwai Fong is truly one of the highlights of my recent trip to Hong Kong. I cannot explain how awesome the experience was. I arrived midday and the sun was up but the coolness of the air was sure enough to make me last long time. I felt really good dressing up because everyone's ridiculously chic and dapper here. I've seen many cool high-schoolers showcasing their latest fashion style. I stopped for a bit to smoke and watch as the youth channel their rock star status. Along with them are a few businessmen in three-piece suit meeting up with other businessmen. I've seen women rushing for their luncheon in designer ensemble and half a million worth purses. After having a really tasty lunch at Shakeys (I know...), i walked for more and discovered this uphill strip of shopping delight. 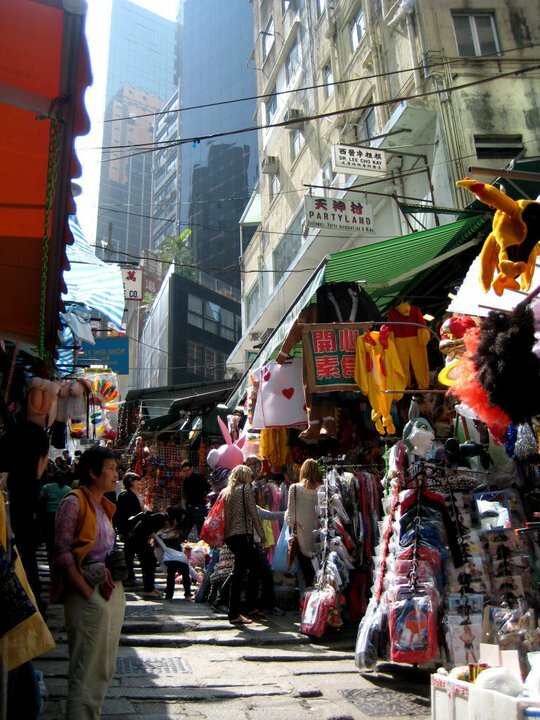 Walking around is a breeze and shopping is a seriously addicting stuff in Lang Kwai Fong. I've seen one of a kind merchandises: from trippy hats, straw belts, quality leather goods and even iPhone and Blackberry accessories. Prices are affordable and competitive. If you decide to stay in Hong Kong Island, you can find the best quality and prices for those cheong sam and key chain souvenirs. For those who are into gadgets, there's a good number of shops selling brand new and second-hand dslrs, cellphones and tablet PCs. With an impressive array of merchandises, it's not surprising a lot of expats and visitors call Lang Kwai Fong or LKF, a home away from home. But after an exhausting day of shopping, you don't have to go too far to experience the best of Hong Kong's nightlife! Up next, get drunk, crazy and absolutely seen in LKF! SOHO: Take the Central Mid-levels Escalator, follow the road sign. ey kwento mo naman dito like where'd you stay... and other stuff like that.. unang beses ko pupunta dun sa sunod na buwan.. any info would be of help.. already read your other articles bout hk..
Korek Flip enjoy gumimik sa lugar na to, dito kami nagcelebrate ng New year after manood ng fireworks. grabe ang mahal ng beer, kaya tig-isa lang kami tapos uwian na hahaha. Uy, di ako nakagimik dyan! Puro geek friends kasama ko sa HK at sa bahay lang nila kami nagiinuman (uber tipid). Hihi. I miss HK. It's one of those countries na di ko inexpect na magugustuhan ko. Sounds like a great place...hmmm...even i would love to visit the city someday! Mukhang paradise yan for shopping-lovers ah. @mylovelylife88 yes! Lang Kwai Fong and Mongkok - best shopping places for me. will post mongkok in a few days!!! Pero coming from bangkok, super expensive na ang merchandise sa HK! @vin oo nga! actually, i think, a friend of mine once said, same products found in Divisoria and sometimes cheaper pa. so the trick is to find the most unique and cheapest! thanks, Vin! @ayan he he thanks bro for the trust. yes, will be posting the rest of HK in the coming days!!! Medyo marami pa. As for the accommodations, i cannot really recommend the place because i know there's better hotels out there. sige will try to draft something. san ka na ngayon bro? @lakwatsera de primera ang saya siguro dito pag new year. ordinary weeknight nga lang, sobrang dami ng tao. what more kung may special occassion/holiday???!!! @Pinay Travel Junkie i haven't met anyone who's been to HK and didn't like it. we all love HK and sobrang lapit pa! For first timers, i highly recommend HK as the first country they should visit. Medyo nagmahal na nga lang ngayon! @Siddhartha Joshi it's a beautiful country. It's pulsating, it's alive, it's the west, it's the east... it's such a remarkable country to visit. how are things with you? @Ian favorite ng mga locals and expats because LKF has everything: from high end shops to flea market finds and then when you're done, you can chill and drink beer or party the night away! supposed to be somewhere far...but the plan failed though... bigtime..
dude, sorry late reply! so we're both traveling on the first week of july. that's great news man! you'll love Hong Kong for sure. easy on the booze and ciggies, other than that... have fun!